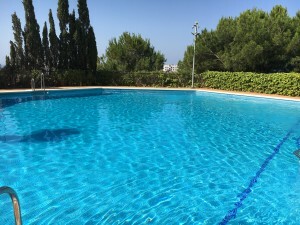 Beautiful detached 2 bedroom villa with stunning views, a summer room and a Jacuzzi located just a 5 minute drive to the village of Albanchez. 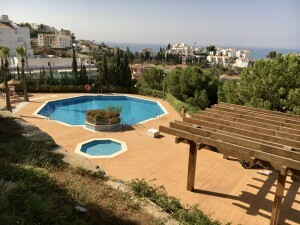 This fantastic property is situated on an elevated plot and benefits from the most beautiful views. There is a private drive way and the garden is very easy maintenance with half being laid to gravel and half paved. Through the main entrance door is the spacious open plan kitchen, diner and lounge area fitted with hot and cold air conditioning. To the end of the lounge there are glass doors leading out into the conservatory/summer room. Also from the lounge is the spacious master bedroom with air conditioning, a large family bathroom and a good sized double guest bedroom. From the drive way there is a garden area with a very useful storage shed and also from the conservatory is a beauiftil area where there is a Jacuzzi and amazing views down the valley. 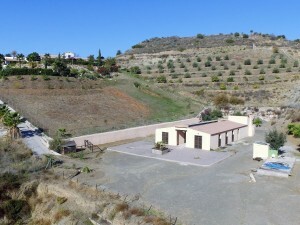 The Village of Albanchez is a very short distance away, there you will find all the amenities available. The large market towns of Cantoria and Albox are also just a 10 ?€? 15 minute drive away.